but no longer posts… Until Today. What to do about Binge Eating…. Eating when it feels like you are not fully making the decisions can feel out of control. got us there, which is restriction. But I want to mention something first before we jump into the “what do we do then”? Which gets translated to food, to which we say to ourselves, ” I eat too much” and ” I am too much” again. With that in mind, it’s easy to see why we see feeling like we eat “too much” as a shameful thing. will talk about all that. don’t actually get as free as possible from getting triggered. to work towards not restricting. And not just physically restricting food, but mentally restricting. or ” I have a wedding to go to and I need to lose weight”. to be with-held from, especially because of our body size. Even if you don’t feel the emotion of it, it is painful. Next, behind ending the restriction, is begin to learn attuned eating. Attuned eating helps you get more ​ in touch with not just your physical but emotional hungers and how to discern which is which. make sure you sign up to get it at the bottom of the page. As do all of that, we gotta learn to hate our bodies less and put weight loss on the back-burner. 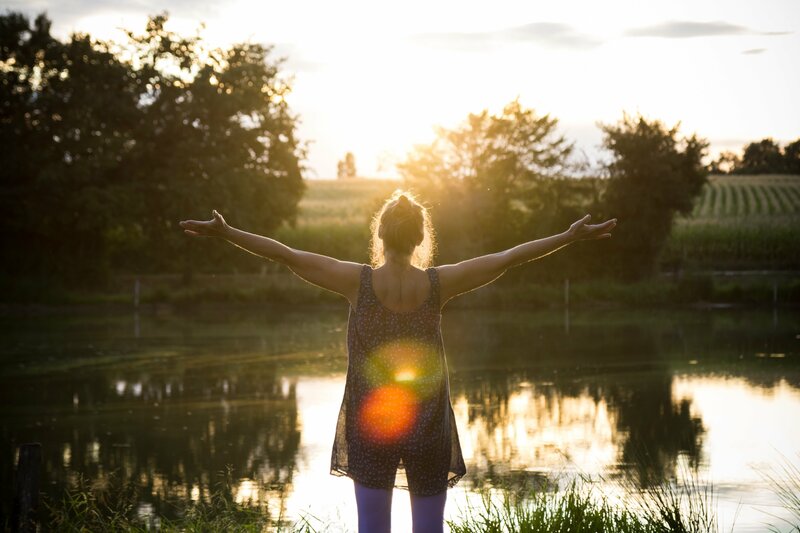 As long as we have our sights on, ” I will learn attuned eating after I lose weight” or “I am hoping attuned eating will help me lose weight” we get set up for a split in our focus and attention, and it is easy to get lured in to the next diet when we get emotionally uncomfortable. The next things to be considering are Radical Self Care. In my video below I spoke about how I layed on the floor because that is all I could do to tolerate the feelings that came up after a binge. I recommend that a lot actually. But I also want you to start to make a list of your resources, and if you list is low, let’s start building that list up. Body positive media (podcasts, books, instagram, groups, etc) let me know if you want more ideas! Finally, every human on this planet would heal so many wounds in them by taking a look and healing their Weight Biases. Remember, these are made-up man made constructs!! Yes, they are real in that they impact us, but they are not some objective measure of truth! One of my favorite books on this, at least to heal the body image piece of it is When Women Stop Hating Their Bodies. Certainly not the only one, but my favorite to run my classes by! 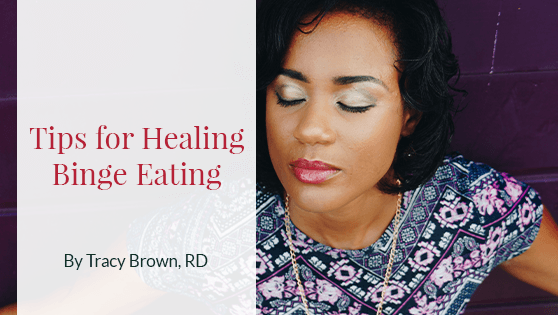 So I hope this post was helpful today and gets you making your “plan” for one step at a time, having a roadmap to the how of healing binge eating. The right treatment providers — if any provider hints that food or weight restriction is part of helping you; RUN! I hope this post gives you a place to start or expand from. Making peace in a fat phobic world is tough but do not every give up! Don’t forget to check out my video about how I laid on the floor to actually learn to first tolerate my emotions after a binge!